The Emperor Rings 2-PANEL Free-Standing Dog Gate is a designer, interior home dog gate that is available in a Black finish. This uniquely designed Free-Standing Dog Gate folds easily for compact storage or transport. 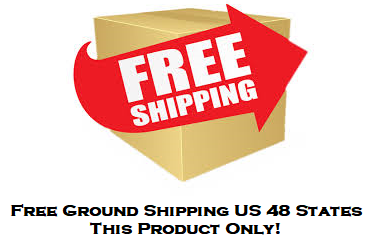 The Emperor Rings Free Standing Dog Gate is made of metal to prevent destructive chewing. This freestanding metal dog gate is perfect for owners who want to move their pet gate from room to room to block hallways, doorways or almost any entryway. 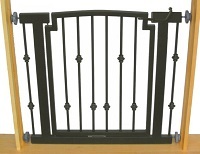 Freestanding design means there is no need to physically attach the gate to a wall. Simply unfold and place across the area you want blocked.